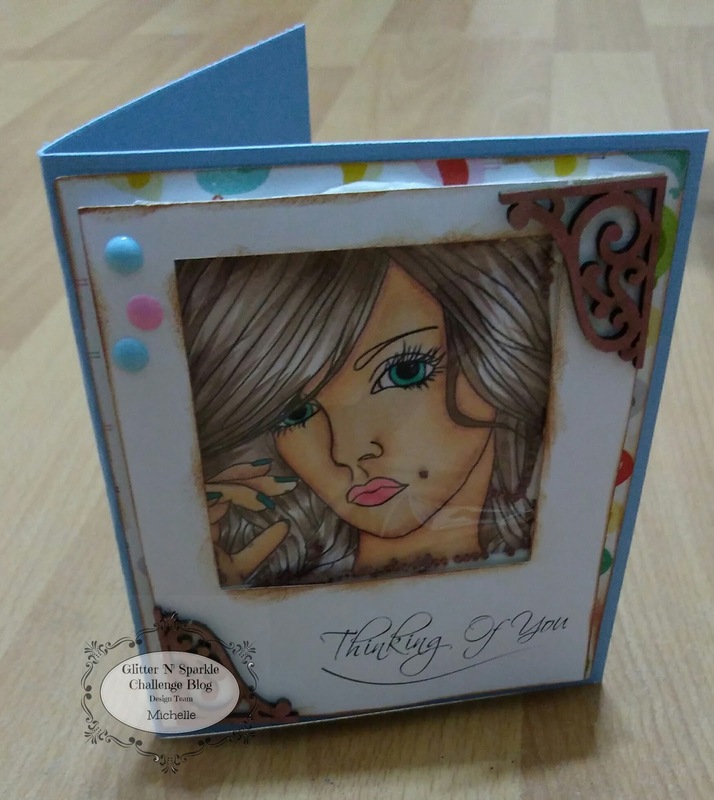 I am very excited as I have been accepted as a Designer at Glitter 'N' Sparkle Challenge. The new challenge over on ner at Glitter 'N' Sparkle Challenge is ‘Anything Goes’! There is a wonderful prize on offer, from our sponsor - Ike's Art, for our lucky winner so check out THE BLOG for details. I have used this gorgeous image from Ike's Art called MUSE #3. So don’t be scared and visit THE BLOG and join in with our fab coloring challenge, and as it is Anything Goes you have no excuse!!! Thank you for using my image and it is a pleasure to Sponsor you all.